The Voluntary Sector Initiative (VSI) is a unique undertaking between the Government of Canada and the voluntary sector to enhance their relationship and strengthen the sector's capacity. Over the five year initiative they are working together to address issues including funding practices, policy dialogue, technology, volunteerism and research about the sector. 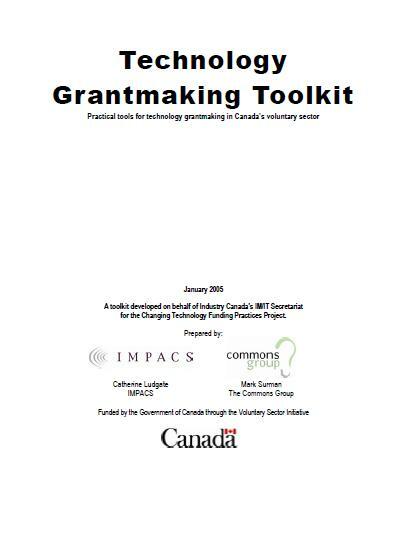 On this site, you will find: - Tools to assist technology grantmakers and grantseekers assess needs & make compelling requests for technology funding.